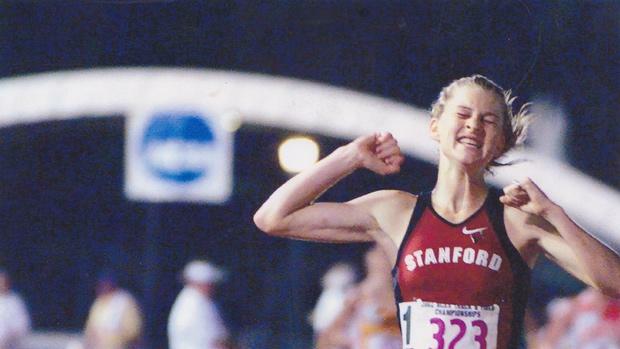 Note: Entrepreneur and former professional runner Lauren Fleshman wrote a letter to her younger self in 2017 for MileSplit. This is a reprinted version of the same essay, which sparked discussion and created an enormous amount of positive feedback. I have so many things I want to tell you, but I'm going to start with the most urgent. Because of all the ways I've seen athletic stories unfold over the years, this is the No. 1 destroyer of dreams. You're a young woman, but the sound of the word "woman" makes you cringe. Well-meaning coaches and parents and aunties and grannies and inappropriate uncles comment on the changing bodies of girls--not yours yet but those around you. It's coming. You know it's coming. 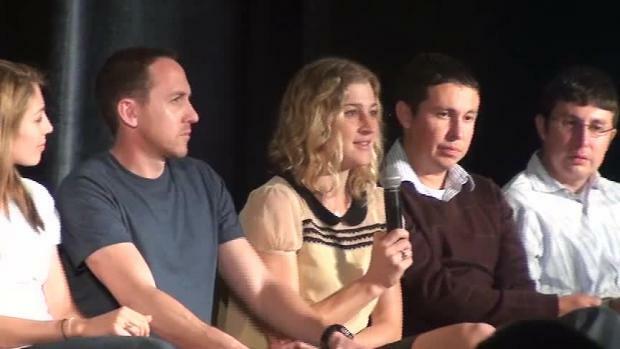 You notice what happens sometimes to female athletes. She hits puberty; her times get slower or plateau. She is confused; she is working harder than ever. Clueless adults who are overly invested in her "performance" will grieve, as if her worth is based solely on PRs. This makes you scared of growing up. Seeing girls go through this is confusing because there is a story once told to you about running: "You get out what you put in." You've heard there is a direct line between effort and improvement, between wanting it more and winning. This is a "truth" written by men, based on the experience of boys and men. Your male teammates are bathing in testosterone, a dramatic performance enhancer. You will not. You are about to bathe in different hormones, hormones that, more often than not, temporarily interrupt that promised straight line of improvement. What you need are knowledgeable coaches and parents who know how to support you during this time, to let you know it is normal, to celebrate you through development, who can zoom out on the big picture, because it is at this time that many girls give up. You'll see girls react to a changing body in three ways: give up, ride it out, or fight against it. With 100 percent confidence, I can tell you the best choice is to ride it out. The best is yet to come. 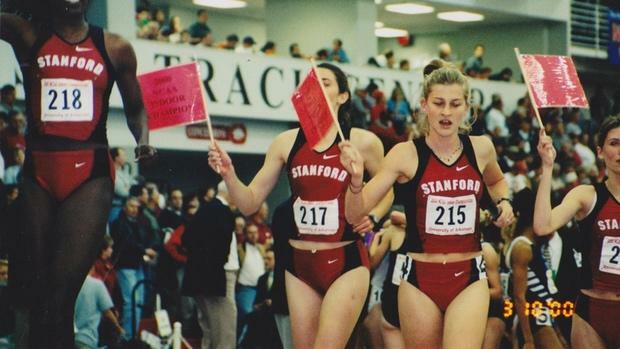 You will go on to race at a NCAA Division I university and watch several girls do whatever it takes to fight their changing bodies. But before you choose a school, you will go on visits. You will have meals with the teams and notice they do things differently. There is the school that has "salad with dressing on the side," the school where everyone orders "no gluten and no dairy," the school where the girls bring their own food from home to the restaurant... Go to the school where people order a variety of things: the burger, the chicken sandwich, the salad. Go to the school where you can order french fries and do it without shame. Go to the school where the majority of girls look athletic and healthy, with hydrated muscles, and get their periods. Listen to how they talk about themselves--and one another. Listen to what they value. Do they value effort or performance? What do they worry about openly? Fixations on their appearance? Or do they lift one another up to be good teammates and performers? Do they value themselves and one another by time and place and weight? Or by the whole package of who they are as people? How do they treat the teammates who are struggling physically or mentally or psychologically? Do they isolate them? Talk behind their backs? Do they have empathy and compassion? Do they call one another up? Like it or not Lauren, you are a woman. A strong one. Your body is at some point going to become what it is meant to be, based on a long line of strong women who have survived generations in a tough world. For most of the time, and in most cultures, what is happening to your body would be celebrated with ceremony. Women are powerful beyond your imagination. You cannot reach your power by making yourself small. And yet in competitive running, you will find yourself in a world in which you feel pressure to do just that. Let me speak to the competitive dream chaser in you now. You can be fast and a developed woman. In fact, you can only reach your ultimate potential if you let your body go through its changes. If you get to the dips and valleys and fight your body, starve your body, attempt to outsmart it, you will suffer. You will lose your period. You will get faster at first. And then you will get injured. And injured. And injured. Depending on the methods you used to fight your body, you may end up destroying your relationship with food and sport for years to come. You won't go this far, but you'll see so many of your friends and teammates do this. In your age group, the mortality rate from anorexia is 12 times higher than any other cause of death. You will see some come close. You will see this so much, fed by reckless coaches, fed by unhealthy team culture, fed by the desire for short-term success, that it will break your heart. It will break your heart so much that it will be difficult for you to watch many of the top high school and college races after you graduate. So many young athletes will reach out to you for help. You will learn how destructive and reckless so many coaches are, and you will want to find a way to change things. I need you to know, I PROMISE you, that the ultimate star you are chasing is further ahead than any shiny thing you see now. The way you get there is to protect your health and protect your love of the sport above all, even as you reach for the shiny goals right in front of you. You simply do not know and cannot predict your personal path, but you'll get there. It will look different and brighter and richer and more multi-faceted the closer you get. I need you to know, you have always been more than a runner, more than your times, more than your state championships, more than your school records. But you will get confused. You will forget. Luckily you will have teammates and family and friends who remind you. You will go on to do almost every single thing you could have dreamed of, not in the way you imagined, not on the timeline you imagined. 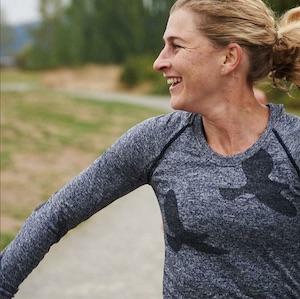 And when you retire from being a pro runner after 12 years, you will be surprised at what ends up being most valuable to you. Your medals will be in a box somewhere, and you'll never look at them. Your proudest accomplishment will be a race in which you finished last because in that race you were tested more than ever and you were brave. Finishing seventh in the entire world in the 5K and having a bronze medal in cross country brings you a smile, the same smile as winning league with your team as a freshman in high school, the same smile as breaking 5:00 in the mile for the first time. The real life-changers, the memories that make the peach fuzz on your cheeks and the hairs on your forearms stand up, those will be braiding your teammates hair in the 15-passenger van on the way to a race; a random tempo run along a sidewalk past a gas station where you felt like you were flying while home on Christmas break; descending a forest trail at camp behind your best friend with your arms outstretched in flight; running at night with someone you are falling in love with; pushing your baby in a running stroller for the first time; passing under a canopy of trees temporarily blocking the rain on a cross country course you can't remember the name of, the sound of your feet squelching in the mud while chasing your rival. Protect the opportunity to make memories like those for a lifetime. You're going to be OK being all of yourself. Make sure your teammates know it too.